Digital ProTalk: Wednesday’s Great Debate: Canon 7D or 5D Mk II - Which One Is Best For Wedding Photography? Wednesday’s Great Debate: Canon 7D or 5D Mk II - Which One Is Best For Wedding Photography? I not sure what happened, but between Monday and Tuesday in Bar Harbor, Maine, it looks like the word got out that must be the center of the universe for summer travel. Parking lots to the top sites in Acadia National Park were just overflowing with cars yesterday. In fact the cars overflowed the parking lots onto the roads throughout the park in spite of the signs posted to the opposite. Whew! We tried to take the hike around Jordan Pond but couldn't even get close enough to park. Things were not looking good yesterday for exploring the sights. But, like they say, if you've got a lemon, and were having a lemony day yesterday - then make lemonade. We headed across over to Seal Cove and sought out the recently opened Seal Cove Auto Museum [link]. There is only one word to describe this experience - unbelievable!!! They have a collection of classic cars valued over $15,000,000! The car collection features cars from 1895 to 1917 and most of them were in brand new condition. On our way out of the parking lot, a classic Stanley Steamer pulled in. I’d only see them in the old movies. Now here was one up close and personal and running like a top. If any one reading this post makes it up to the Bar Harbor area, be sure to make this a stop on your itinerary - definitely worth the visit. Our thanks to DPT reader Tim Jeffries who posted the suggestion here at DPT last Friday. Thanks again Tim! Canon 7D or 5D Mk II - Which One Is Best For Wedding Photography? Most readers of DPT know I post several images made with my Canon 7D and not too many from my 5D Mk II. I also gets lots of emails asking my advice about which camera makes the best wedding camera. OK, are you ready? Here is my answer - get the Canon 7D and use the money saved, about $1,000, and pick up another lens. There, I said it and I think it is the best advice I can give on the subject. Sure, the 5d Mk II is a great camera, but the 7D is just more nimble for shooting weddings. And now with the new Sigma optics available, I can get everything I want photographically for my 7D. 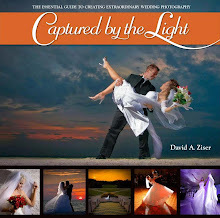 Want to see my 8 reasons for choosing the Canon 7D as my favorite wedding camera? Hit the “Read More…” link below for the rest of the story. Here our my 8 reasons for choosing the Canon 7D for your first and possibly only wedding camera. 1. The camera is priced right and has a lot of "bang for the buck". It's easy, fast, and intuitive to use on the job. It's lightweight - do not buy the extra battery grip. It only adds more unnecessary weight to the camera. The battery that comes with the camera lasts nearly an entire wedding anyway. 2. It has plenty of megapixels to get the job done. I mean, how many mega-pixels do you need these days? I shot my first digital wedding in 2000 with a 3.2 megapixel Fuji S-1 Pro. The images looked great. The 7D's 18mp is plenty for a wedding. We are printing up 24x36 images routinely with this camera. Who cares if you pick up a few more megapixels with the 5D Mk II's 22 megapixels. It's just not a deal breaker with me. Like I said, save the extra bucks for another lens. 3. The 7D is a much more nimble camera for shooting weddings. It focuses more quickly and just responds more quickly on the job. The quicker frame rate on the 7D just feels better to me. A wedding is a place where a camera with quick reflexes is important. 4. The video controls are a lot more convenient to use on the 7D when compared to the 5D Mk II. I don't have to move the camera away from my face when switching to video mode. I did a video post right here showing how easy and fast it is to get into video mode with the 7D. To me, this is a BIG deal when shooting video on a wedding. 5. Low light sensitivity is OK - alright, really good with the 7D, not as good as with the 5D Mk II, but still good enough. I can easily shoot at ISO 3200 with no problem. Lightroom 3 has turned a lot of cameras into "low light wonders" with it's amazing new noise reducing algorithms. Here is my link to my “Noise, Noise, Go Away” post here at DPT exploring LR3’s noise reduction capabilities. Heck, in a pinch, the 7D can shoot at ISO 6400 with the images processed in Lightroom 3. And you know what, the next iteration of the Canon 7D I'm sure will be even more low light sensitive. 7. With the 10-22mm lens on my 7D, I always thought I had just about all the "wide angle" at 107.5 degrees view that I ever needed on the 7D. I was still slightly envious of the 122 degree super wide angle field of view with my Sigma 12-24mm on my 5D Mk II, but that 5D Mk II advantage has nearly disappeared with Sigma's introduction of their new 8-16mm [link] 114.5 degree view super wide angle lens for the APS sized sensors for cameras like the 7D. It was the introduction of that lens that will be making me a full time 7D shooter on my weddings. Sure, I'll keep the 5D Mk II in the bag for the really low light conditions, but it won't be coming out as often as I previously might have used it. 8 . And lastly, you'll think I'm crazy on this one, but I like the pop up flash. Nope, the 5D Mk II doesn't have it - I wish it did. Why in the world do I like the pop up flash? Simple, at the end of the evening, after all the gear is packed and we are walking out the doors, somebody always wants one last shot. It's typically one of the guests who just wants to smile for the camera one more time, but we always take the shot. With the pop up flash, we get the job done, the guest is happy, and we can be on our way without digging back into the gear bag. The pop up flash on the 7D just offers a simple end of the evening convenience. So there you have it - why I prefer the Canon 7D as my main wedding camera. For family portraits, I'll still be using my 5D Mk II for the higher mega-pixel count and lower inherent noise. But when it comes to weddings, the Canon 7D is the camera to go with - even if you are a Nikon shooter. Wait, wait, just joking :~). The fact of the matter is that we photographers are in the drivers seat when it comes to camera gear. The camera manufacturers - Canon or Nikon - keep coming out with cheaper, faster, better gear for us, the photographer. Both are great camera systems, just spend some time and see what works best for you. When it comes to weddings, it's the 7D for me. DAZNOTE 1: I know a lot of folks are going to ask if their back up camera should then be a Rebel T2i. A giant "Negatory" on that one. Why, NO external flash sync. The lack of that single feature is a GIANT deal breaker for me. Granted, I'm a big off camera flash kind of guy. But that's why, as a wedding shooter who loves his lighting, I would opt for a second 7D. DAZNOTE 2: Please no nasty emails from Rebel owners on this point. We've already been there and done that earlier this year. I think the camera is great for what it is and I recommend it to folks wanting and entry level SLR. I've thought about picking up one for myself for a vacation camera. That is to say, I recognize what a value it is to many photographers, but the not having the external sync always has me opt out of my buying decision. Hey gang, that's it for me today. We're kind of socked in here with fog and rain at Bar Harbor today but are still hoping to get our for one more sight seeing trip. How about I see everyone back here tomorrow for another episode of Business Day Thursday entitled, "I've Got To Get Home To See The Love Boat". I know I've got you guessing on that one. Just tune in and see what I'm talking about. I promise you, it's about good business practices. Thank you SO much for your write up about the 7D vs the 5D II for weddings. I have been going through some of this in my head and planning for future decisions on what to buy next. I always value your opinions because I think you think like I do when it comes to certain things. One reason why I never really considered the 7D was its low light performance. I just assumed full frame is kind of a requirement for low light. Very nice post and detailed description why the 7D is so great :-). I totally agree with you. Thank you thank you thank you David for this great post. I have been going back and forth on both of these and just about every argument I had, you are in complete agreement with me. It's always a nice feeling when there is another pro which shares my thoughts. Thanks for sharing your honest opinions and I hate it when photographers feel they HAVE to have the biggest and fastest cameras out there. A sledge hammer is not the best tool for installing crown molding. Finding the right tool is what it is all about. Thanks again David. Thank you for posting this David! I was just having a internal battle about which camera to get and this helped a lot! Thank you, David. You just reaffirmed our decision to get a couple 7D's and leave the 5D Mk II at B&H. That feels pretty good! I debated this choice for quite some time, reading everything I could find on the comparison of the 5D2 and 7D. What convinced me was an online article (don't remembe where) that showed some very good comparison photos of the same subjects shot with both cameras at the same settings with the same lens. Images from both cameras were cropped down quite a bit to illustrate the noise differences. Until the 7D got to ISO800, I would say it was tied with the 5D2, but beyond ISO800, the 5D2 looked much better than the 7D. That was enough to swing me towards the 5D2. Sure, LR3 could make a difference with noise reduction, but that wouldn't be a fair comparison. I didn't compare video features because I'm not interested in that right now. Where would a 50d fit into this mix? Totally agree with DavidG. We use MkIIs in our wedding photo business, and we bought a 7D as an extra/backup camera because we recognized some advantages. We sent it back because image quality at and above ISO 800 wasn't even close and we didn't want to mix those photos with the MkII photos. I loved using the 7D, but I simply won't sacrifice that much image quality. MkII photos at ISO 3200 looked better than 7D photos at ISO 1600. Great perspective. Reinforces my confidence in the 7D I bought back in the Spring. Now, a second as a backup would be nice. However, I find that the added battery pack adds stability. A Nikon AS-15 will turn the Rebel's hot shoe into a PC outlet. Not a perfect solution but it does the job. If you don't buy the accessory grip a 2nd battery is a very good idea IMO. THANKS for your recommendations. We took advantage of your expertise and a few others to explore the areas. You're right the little white bridge was screaming for a bride and groom. Maybe next time. DAZ loved the auto museum and we both enjoyed the small hike around Jordan's Pond and Cadillac Mountain. Have you discovered the Asticou Tranquility Garden? PEACEFUL and quite beautiful. We certainly are blessed to see so much of our wonderful country!! Thanks again. I have a 5D MKII and a 7D as a backup, and cant use the 7D as a main body. First I have "L" lenses that would not work for me due to the 1.6x crop. Noise its much worse on the 7D. Finally I know the 5DMKII focus is not that great thats why I have mine setup as "Center Point" and have the two button setup. "AF" is to focus and the shutter is to shoot. I find this to work and cut down on not in-focus images. The 7D is great as a backup if the main body will fail. I'm sure since you have been doing this for so many years that you feel confident with with just about any camera. But being a "intermediate" user I cant seem to use the 7D as a professional body. I bought the 7D a couple months ago... it came highly recommended by your ace assistant Nicholas who told me, "David Ziser loves that camera." I bought it the next day and haven't looked back, I absolutely love it. Thanks for your blog, I look forward to reading it every week! I own both and totally agree that for wedding 7D is more than capable. Though, for formal shots I still prefer to use my 5D MKII. I just purchased a 7D and love it so far. I am learning...so please excuse my ignorance. I just wanted to know what you recommend for focus settings for a group portrait on the 7D. One important point you are all missing is the fact a full frame camera offers shallower depth of field (with the same aperture) compared to an APS-C camera like the 7D. Sure it is a great camera, but the full frame I would choose for the creative edge it gives me and it better suits my vision. Now I am really confused! I had prepared to buy a 50D, but I am rethinking that decision now. Thank you for the great info! So here's my delema, I'm about to buy the 5DMK II but the rumor mill says that a 5D MK III is due anytime. I have a 7D and really like it, like the look, like the fell, like the fps, the low light capabilities. I've got some fast glass 1.4 - 2.8 and really want to replace my 50D as a backup. But with the thought of a new 5D MK III with 7D features, well I'm prepared to wait and purchase another 7D in the meantime. So I think I'm gonna get another 7D and wait for the newer 5D MK III. Thanks David! Thanks a million for this comparison, specially related to a specific usage (weddings). I almost bought 5dmk2, but luckily i had to delay that. As u said I can save money to go for a lens with 7d. I'm always usig a battery grip with cam, do u think it would be too much weight on 7d ? Thanks for the great comparison. Given the recent huge drop in price and 7D/5DMII beling as low as $400 difference, would you still have the same opinion? Given that you won't get much of a lense at the price difference, I was wondering if the IQ and low light abilities of the 5DMII might swing your opinion. Thanks! "Storm Clearing Over Jordan Pond"